Elizabeth Godwin, CAS, is an Area Manager for The Liberty Group. She has worked in the apartment industry and been active with TAA for 13 years. 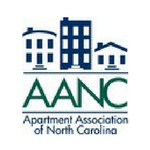 Elizabeth has earned NAAEI's Certified Apartment Supplier (CAS) designation. She began her career onsite with Fairfield Residential, before moving to the vendor side with AFR Furniture Rental in 2007. Elizabeth has served on the PR Committee for six year and completed the last 3 serving as co-chair. In 2011, Elizabeth served on the Triangle Relocation Council on the Supplier Membership Committee.